The best holiday gifts aren’t always under the tree . . .
Holly hates the yuletide season more than ever since she received her very early inheritance: her mother’s Christmas novelty store. Now she has to put her life on hold to deal with the shop, while her parents settle into their busy sunny Florida retirement. But Holly’s childhood pal, Sean, is determined to warm her up—to Christmas and to him. When they uncover a diary concealing secrets involving both their families, this could be the Christmas that changes their lives forever . . . 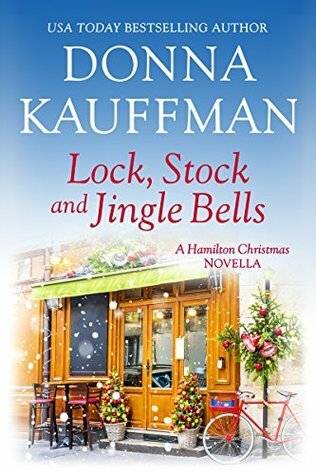 Lock, Stock & Jingle Bells by Donna Kauffman is the second novella length contemporary romance in the Hamilton Christmas series. This story was originally published in the Kissing Santa Clause anthology but is being republished as part of it’s own Christmas collection. Each book in the series can be read as standalone stories with each featuring a different set of main characters. However, the previous character do make a small appearance for fans of the series. Holly Berry Bennett is not the biggest fan of Christmas. This is largely in part to her mother’s extreme passion for the holiday which obviously shows in Holly’s own name having been born on Christmas Eve. But also while growing up Holly spent plenty of time working in her mother’s Christmas novelty store and knew her own passion was elsewhere. However, now in her thirties Holly never expected her workaholic parents to suddenly decide to retire and pass over the family store to her as an early inheritance. Holly had even been living in London all these years but now she finds herself on her way back to America to sort out her future. Worrying about the store the last thing on Holly’s mind was her high school crush, Sean Gallagher, who just happens to run the restaurant across the street and is the first to welcome Holly back to town. This second book of the Hamilton Christmas series was just as lovely if not more so than the first. Obviously being novella length they are very fast paced and to the point reads with a quick romantic connection. This one added the second chance romance aspect to the story which I enjoyed though so not quite as insta-lovey. Both have had great characters, situations and some humor along the way making them quite enjoyable though so I’d definitely recommend. Donna Kauffman is the USA Today and Wall Street Journal bestselling author of over 70 novels, translated and sold in more than 26 countries around the world. 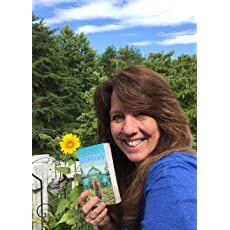 The recipient of multiple RT Book Awards, she is also a National Readers Choice Award and PRISM Award winner and a RITA finalist. Born into the maelstrom of Washington, D.C., politics, she now lives in the Blue Ridge Mountains of Virginia, where she is surrounded by a completely different kind of wildlife. A contributing blogger for USAToday.com, she is also a DIYer, a baker, a gardener and a volunteer transporter for the Wildlife Center of Virginia and Rockfish Sanctuary. Please visit her online at http://www.DonnaKauffman.com. Once again it is great to see that this is another winning entry into the Hamilton Christmas series. Great review, I will be getting to these soon.